Definition, explanation, explanatory videos & online quizzes! a verb used in forming the tenses, moods, and voices of other verbs. 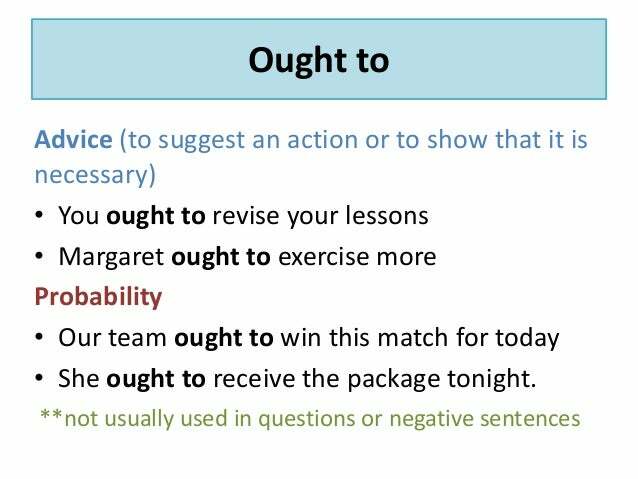 The primary auxiliary verbs in English are be, do, and have ; the modal auxiliaries are can, could, may, might, must, shall, should, will, and would. Write positive statements, negative statements or questions from these prompts. You should buy your partner a fantastic gift and take them out for a meal. Yes, you ought to go because there are some interesting paintings there. 2. Can you ride a unicycle? 3. May I have a chair, please? 4. You have to come to Mark’s class at 9.15am. 5. I think it will be cloudy. 6. Shall we go to the cinema? 7. No, you don’t need to because it isn’t raining. 8. Could I borrow your pencil? 9. I might have pizza. 10. You mustn’t drink beer in class. 11. Yes, you ought to do lots of homework. 12. Shall we do something easier? Use the 2nd person and describe the ideal student. Use at least 8 of the adjectives and phrases.